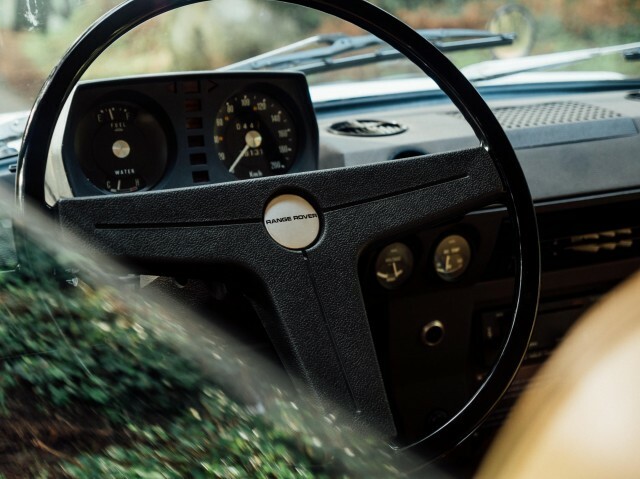 When it was first presented to the world as a concept in 1967, the Range Rover signaled a significant change of course for the Land Rover brand. 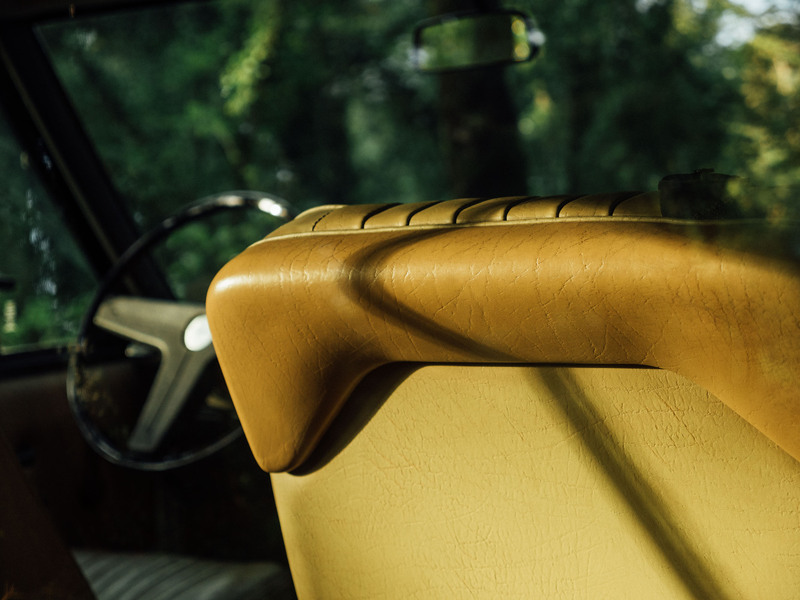 Prior to that year the green oval badge was predominantly associated with the utilitarian line of Series trucks, vehicles sold more as tools than conveyances. 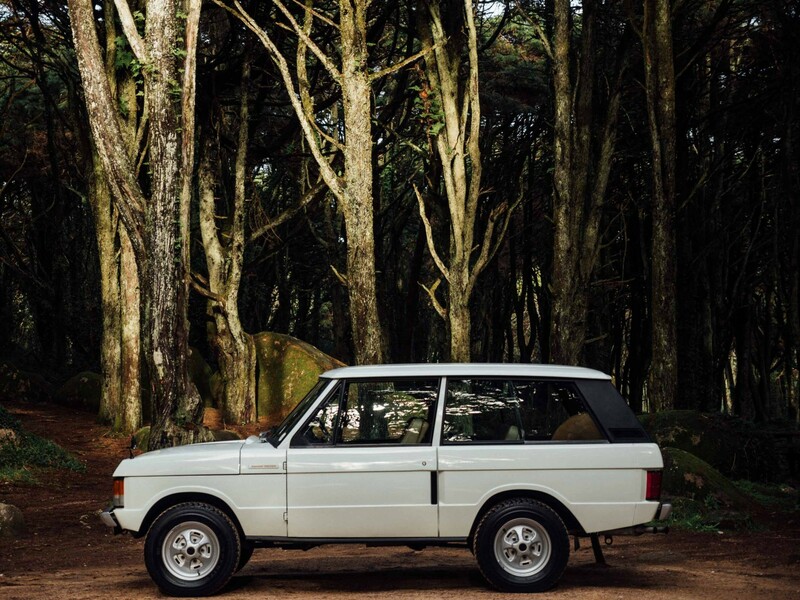 When Spen King and Gordon Bashford designed the first Range Rover prototype, they could not have known their creation would ascend to such legendary status and be lauded as one of the most celebrated platforms in automotive history. 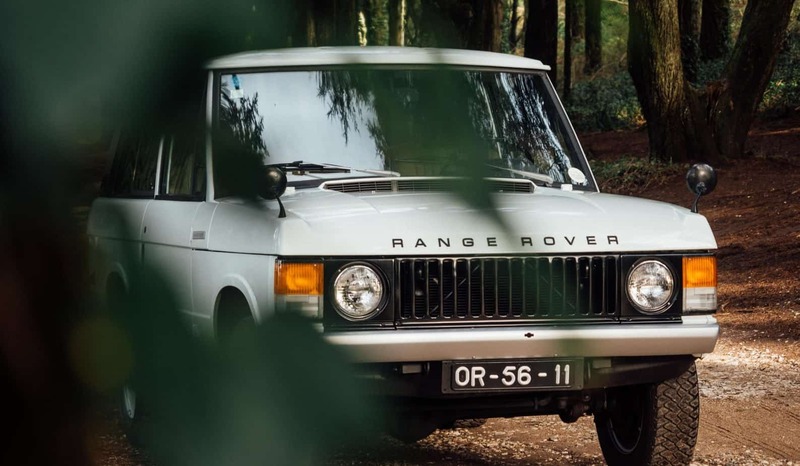 Nor could they have fathomed that their first generation Range Rover would eventually define the Land Rover brand or go largely unaltered for the next two decades. 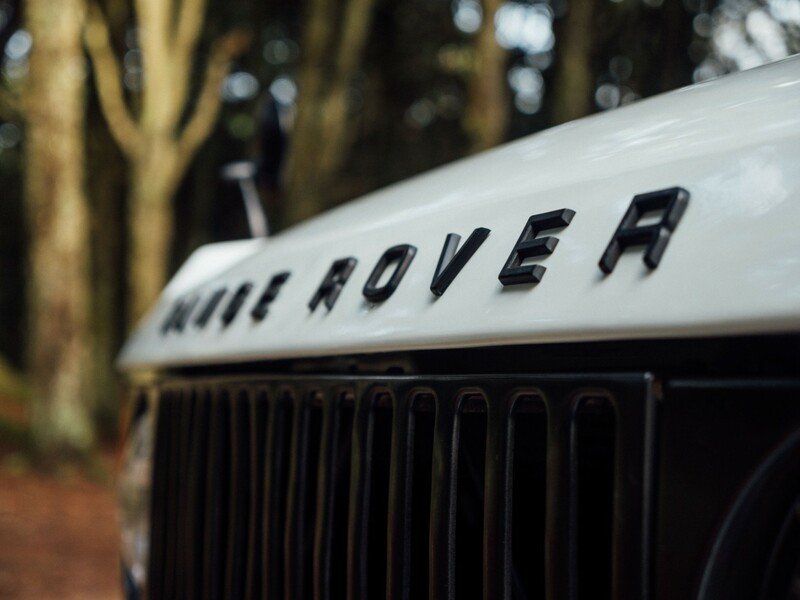 Today the Range Rover continues to dominate the rarified air of the luxury SUV market and sets a standard few other manufacturers even dare to challenge. 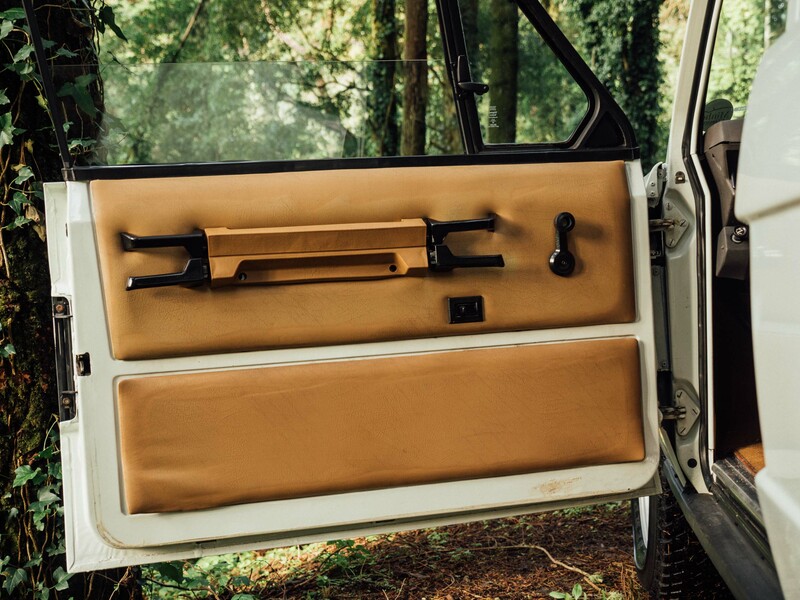 A modern Rangie is festooned with features, wrapped in exotic materials, and representative of a lifestyle many of us can only aspire to. 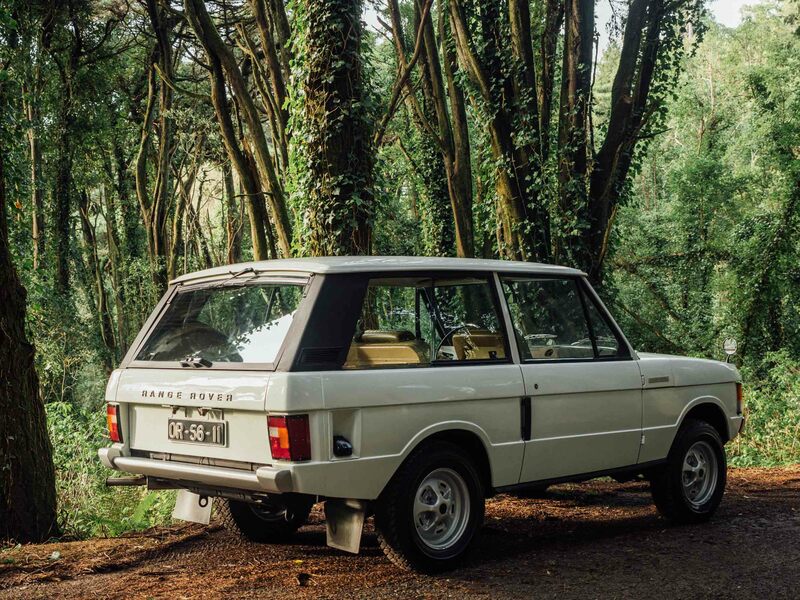 Given its elite and genteel position within the automotive world, it is easy to forget just how accomplished the Range Rover is. 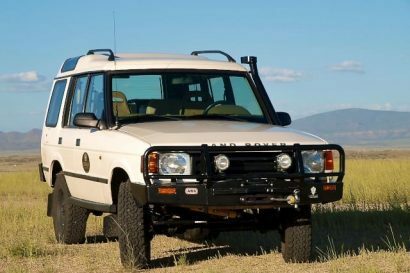 When off-road racing’s best competed in the first ever Dakar Rally in 1979, it was the Range Rover that claimed the top spot after 6,000 miles of grueling racing. 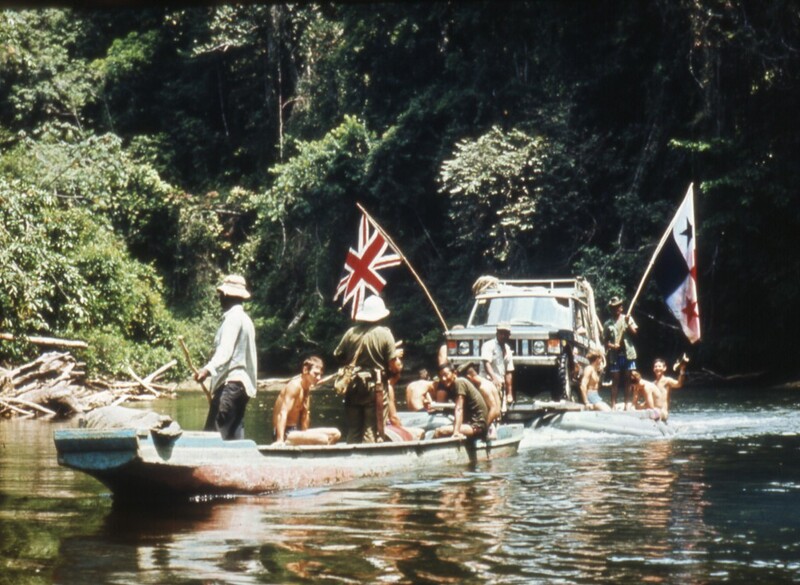 When Britain’s own John Blashford-Snell led his team of explorers across the Darien gap in 1971 as a part of the Trans-America’s Expedition, they did it in a pair of Range Rovers. 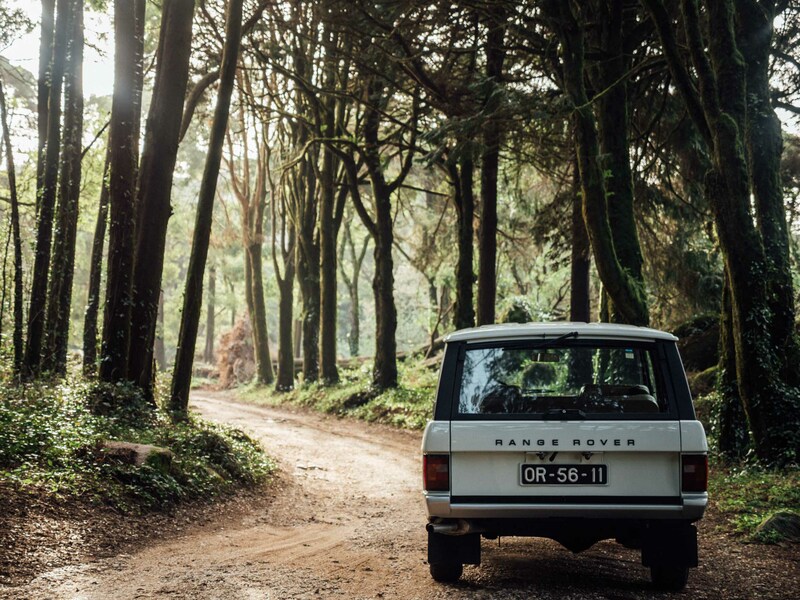 In the years since, the Range Rover has conquered the sands of Arabia, the snows of Siberia, and traversed many of the world’s most rugged and unforgiving landscapes. 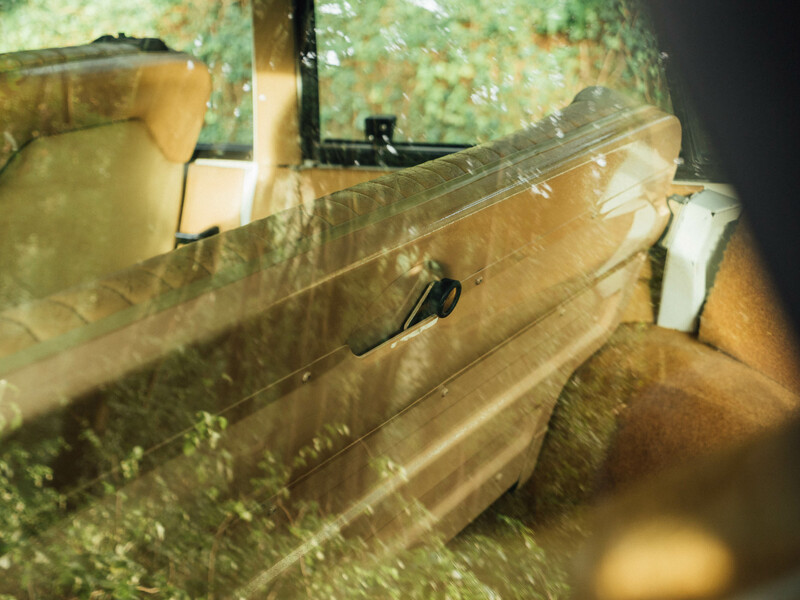 Considered a masterpiece of industrial design, the Range Rover was even inducted into the Louvre in Paris. 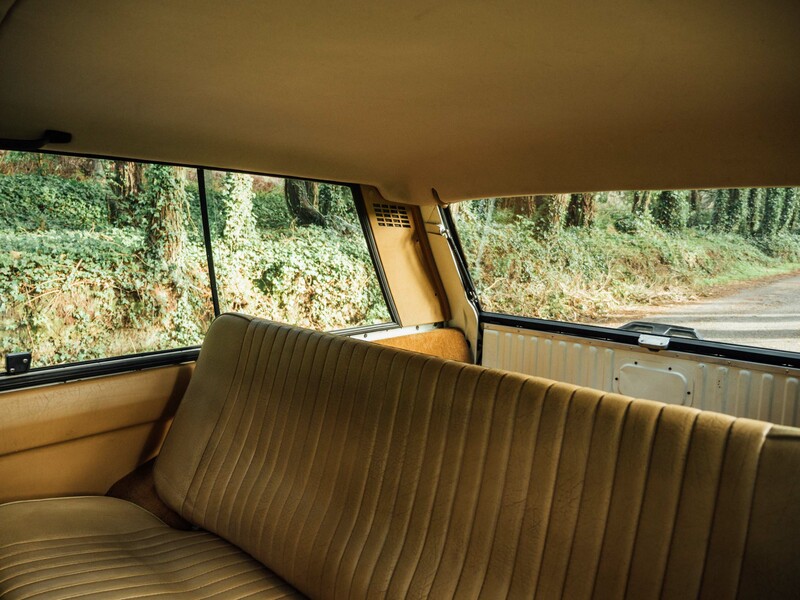 And it all started with vehicles similar to this 1977, three door Range Rover. 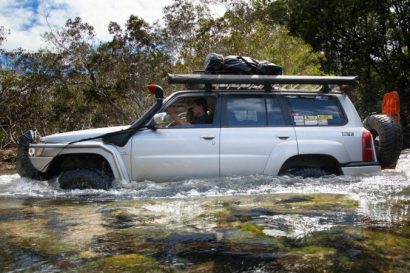 John Blashford-Snell commands his team through the jungles of Central America. 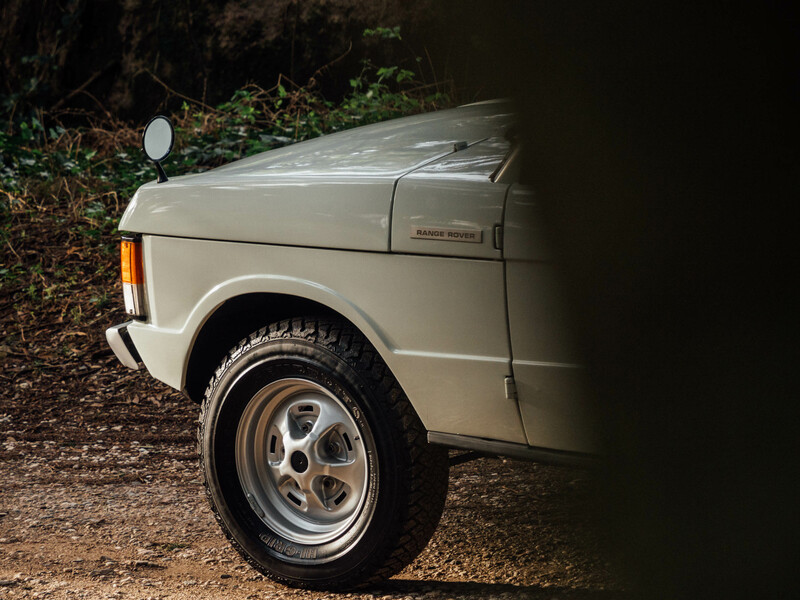 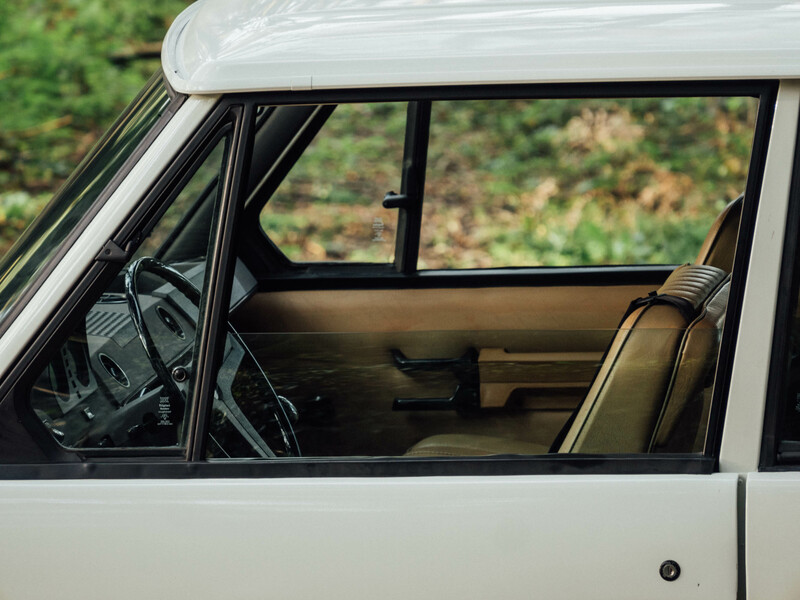 Unrestored and in pristine condition, this Range Rover in Arctic White is a time machine taking us back to the days when Land Rover boasted of owning 15% of the global off-road market. 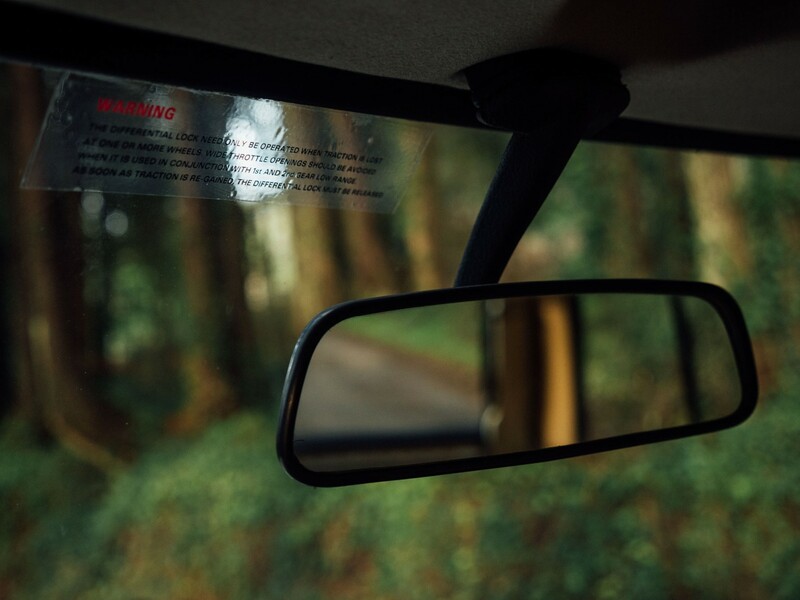 This is the year Land Rover decided to invest £30 million dollars in an expansion project to double the number of Range Rovers put into production. 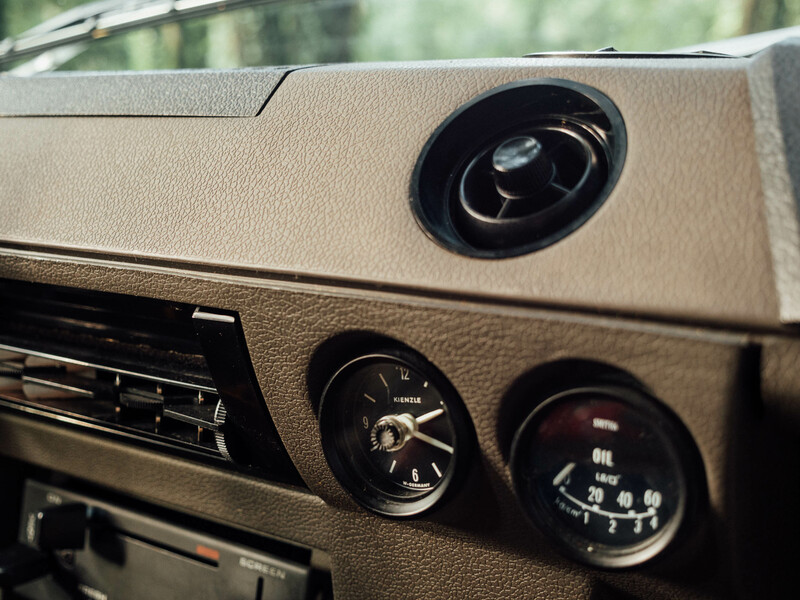 That was just a small part of a £250 million dollar plan to double overall vehicle production in just the subsequent five years leading up to 1982. 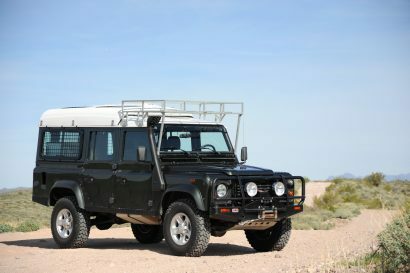 In a press release issued in 1978 by Mike Hodgkinson, managing director of Land Rover Limited, he said, “We are not prepared to sit back and rest on our hard-won reputation for four wheel drive vehicles.” The success of the 1977 Range Rover factored heavily into those ambitions and many would say marked the tipping point in the brand’s future growth. 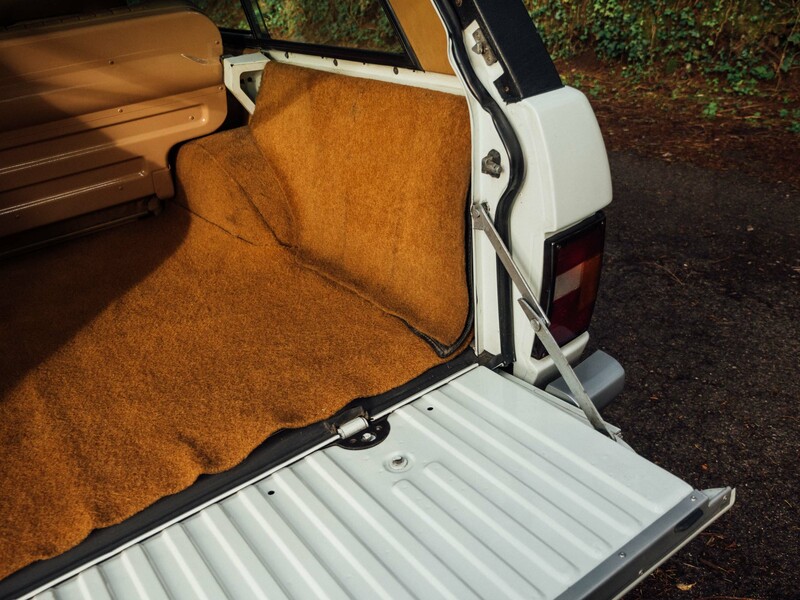 The 1977 Range Rover, like this one, was delivered with only modest alterations over the previous year. 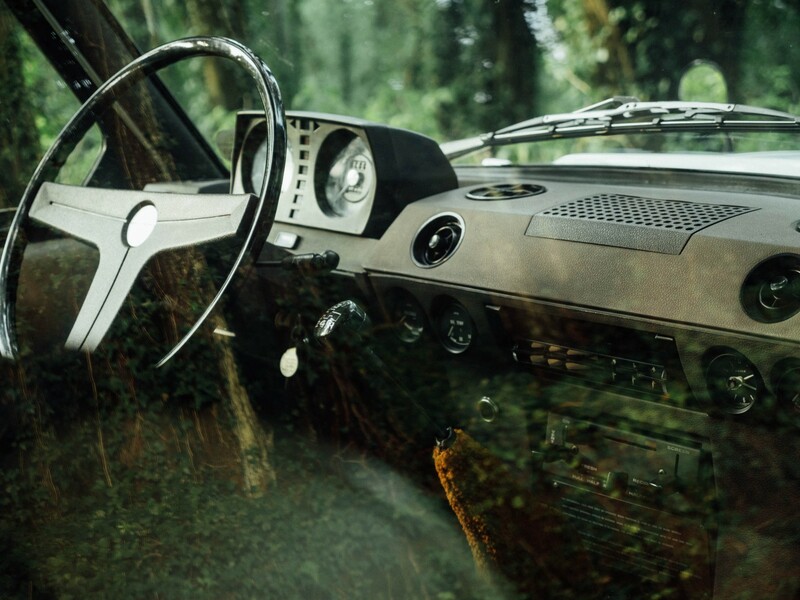 The V8 petrol Zenith-Stromberg 175CD engine had a 3528cc displacement and produced 130 bhp at 5,000 rpm. 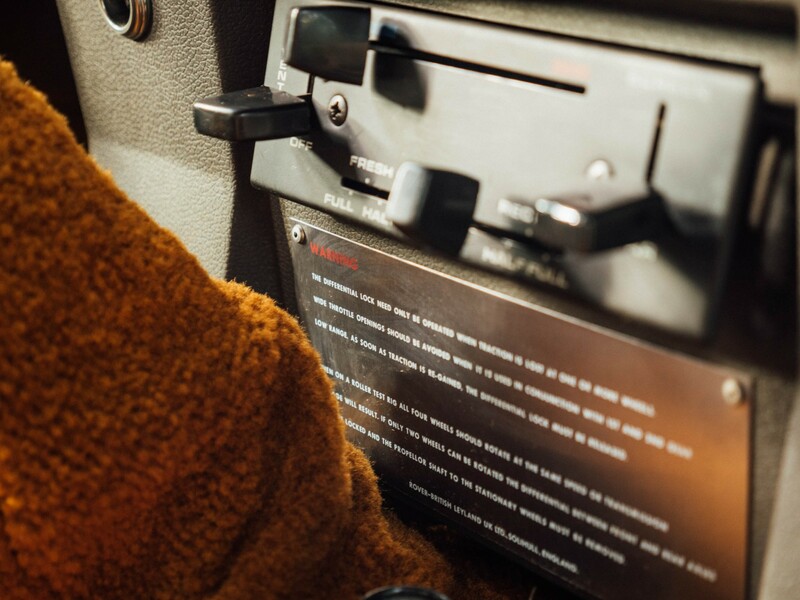 The torque favored those with a need for a towing vehicle with 185 lb ft of torque on tap at just 2,500 rpm. 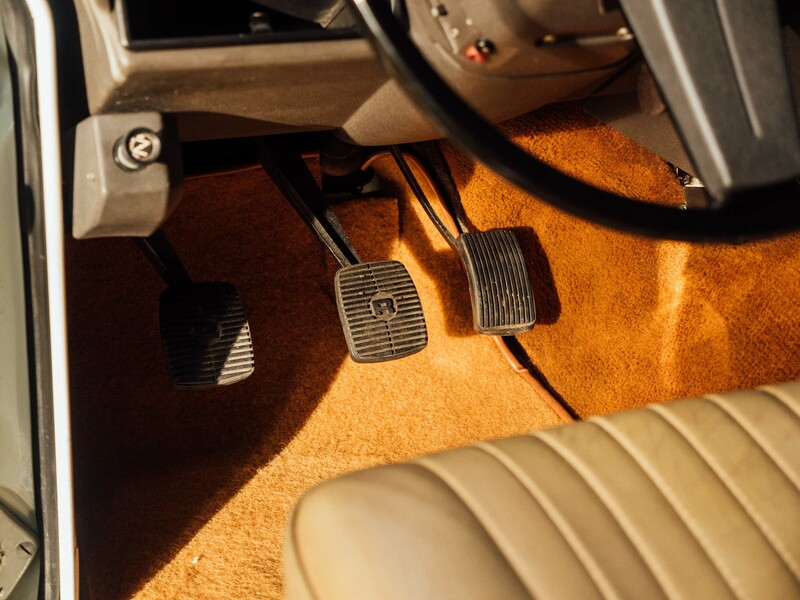 The transmission included a 4-speed manual changer with a center-locking differential. 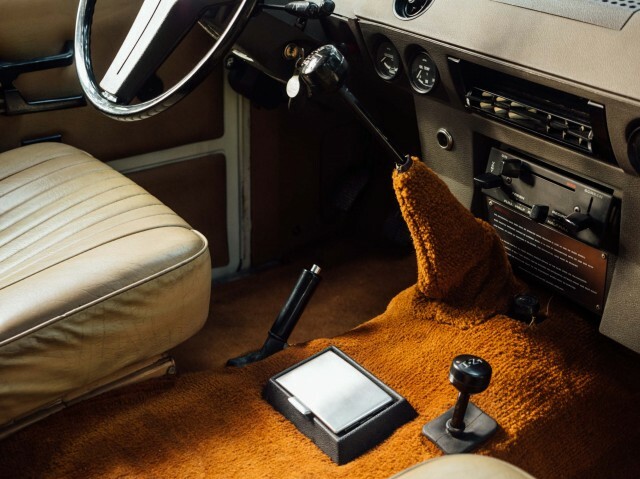 Available options in 1977 included nylon fabric trim, power assisted steering for an additional £204.47, head restraints, inertia-activated front restraint safety belts, and tinted glass. 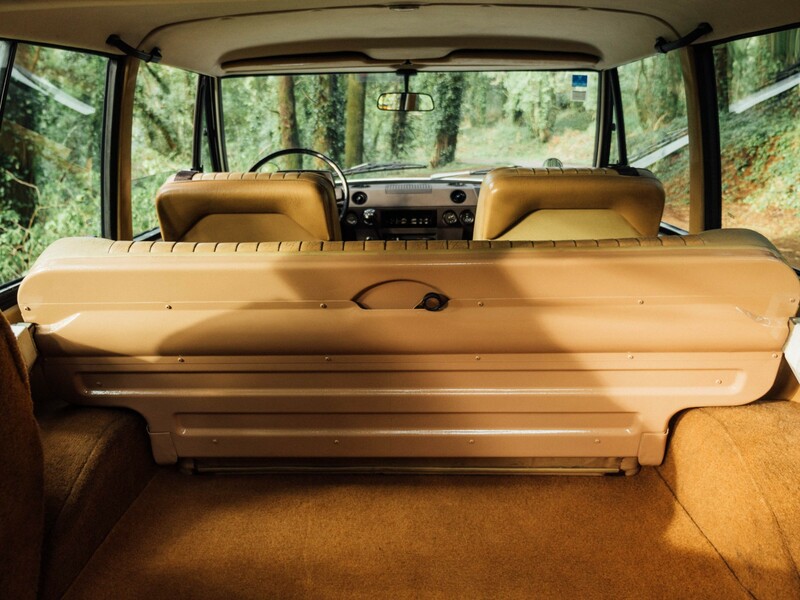 Almost all of those elements are represented in this Range Rover, one currently for sale and longing to take up residence in your garage.